Drake responds to being called a culture vulture. Drake's old notes to his mom are up for sale and they could be yours for a small fee. TMZ reports a page from the Canadian's old lyrics notebook from 2002, a handwritten note to his mom and an early bio he wrote for himself are being sold by memorabilia company, Moments In Time for $7,500. In the note to his mom, Drake promises to clean his room when he comes home, and someone (presumably his mom) replied "In order to receive 8:15 am rides this week -- room must be clean + bathroom must be clean AS PROMISED FRI JAN. 18th!!!" TMZ also reports the back of the note features a handwritten bio Drizzy created about dreams of making it big. The bio lists his music influences, hobbies and talents, with a special shout-out to his pops Dennis Graham. The extremely personal page is from Drake's old rhyme book, which was found in a dumpster near his grandpa's old furniture factory in Toronto, where Drizzy used to work. It also contains his signature. The full notebook with about 20-25 pages of handwritten verses, full songs and random musings during his Degrassi days are being sold for $32,500 via Moments In Time. In more Drake news. The Scorpion rapper, who's currently overseas for the Assassination Tour with Tory Lanez recently addressed the never ending "Culture Vulture" accusations thrown at his face. 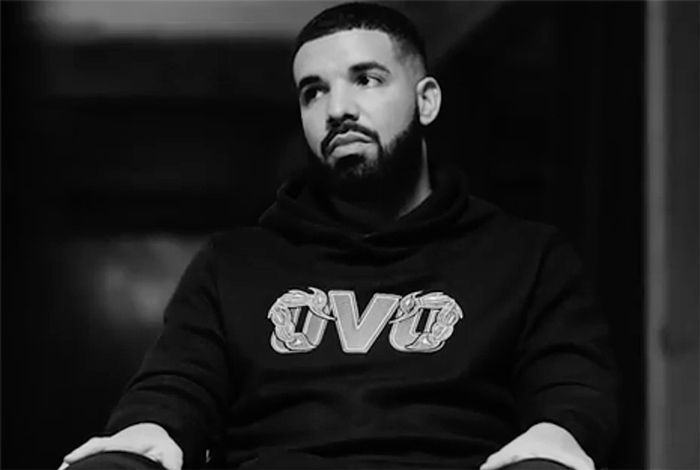 "It is what it is, I see a lot and I’ll never understand how supporting somebody’s song or even going a step further and giving somebody a song or linking up is not viewed as something admirable," Drake said. "But I guess people have their own outlook on it." "That’s just something I want I just had to talk about it because it’s bothering me," he added.